Steven Gaines is the bestselling author of Philistines at the Hedgerow: Passion and Property in the Hamptons; The Sky’s the Limit: Passion and Property in Manhattan; The Love You Make: An Insider's Story of the Beatles; and Simply Halston, the biography of the fashion designer, among other books. His memoir, One Of These Things First, will be published by Delphinium/Harper Collins in August of 2016. Mr. Gaines is a co-founder and a past vice-chairman of the Hamptons International Film Festival. His journalism has appeared in Vanity Fair, the New York Observer, the New York Times, and New York magazine, where he was a contributing editor for 12 years. His long-running radio interview show, Sunday Brunch Live from the American Hotel in Sag Harbor, aired during the summer and fall months on a local National Public Radio affiliate. 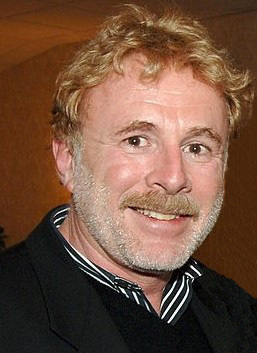 In 2000 he created one of the first online magazines, iHamptons.com. Mr. Gaines has lived in Wainscott, a small hamlet on the East End of Long Island, for 40 years.